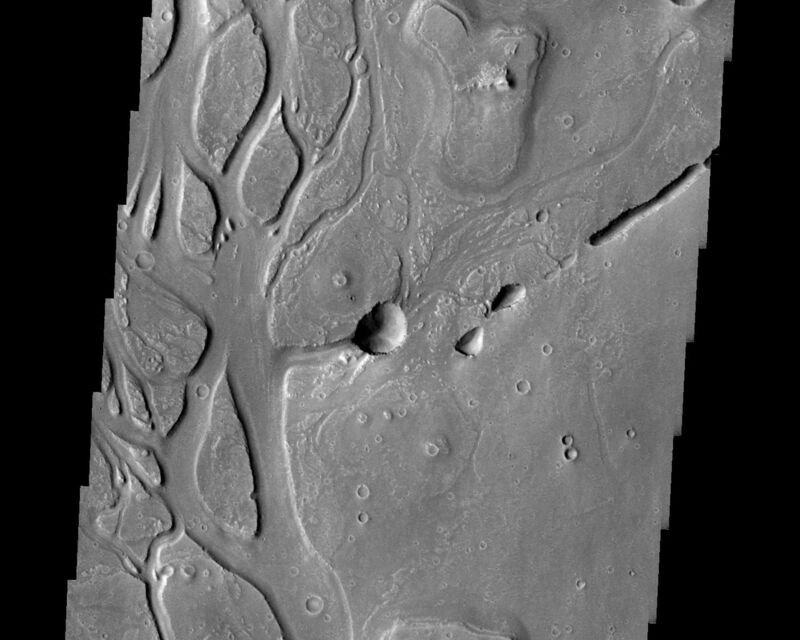 The image shows an area in Elysium Planitia near Isidis Planitia. It was acquired May 17, 2002 during northern spring. The local time is 3:30pm. 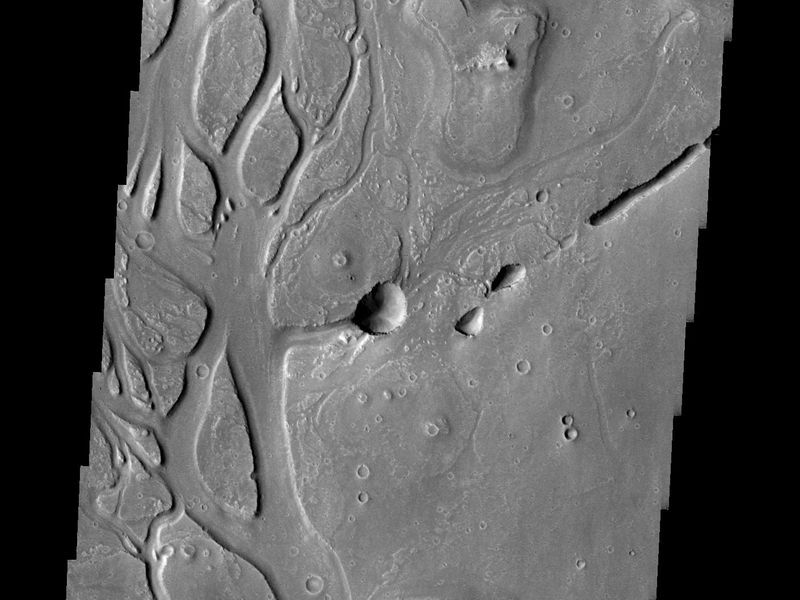 The image shows channels and collapsed lava-tubes. 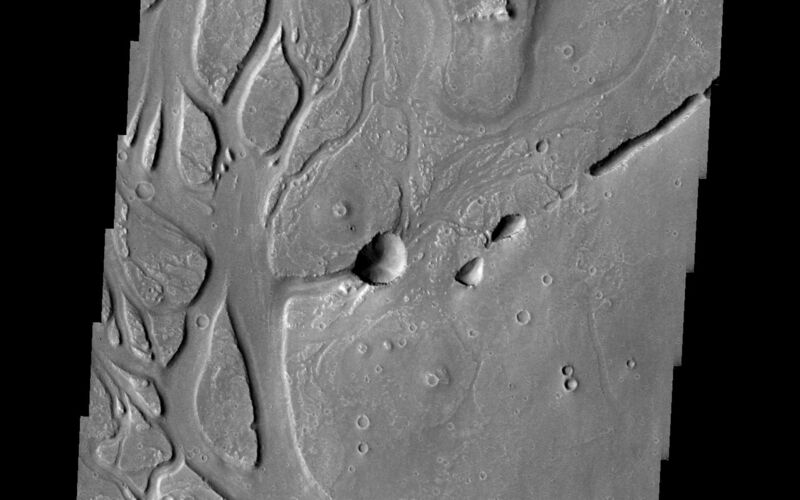 The channel formation is surface controlled, while the lava-tube creation is mainly structurally controlled. Image information: VIS instrument. Latitude 21.6, Longitude 125.5 East (234.5 West). 19 meter/pixel resolution.